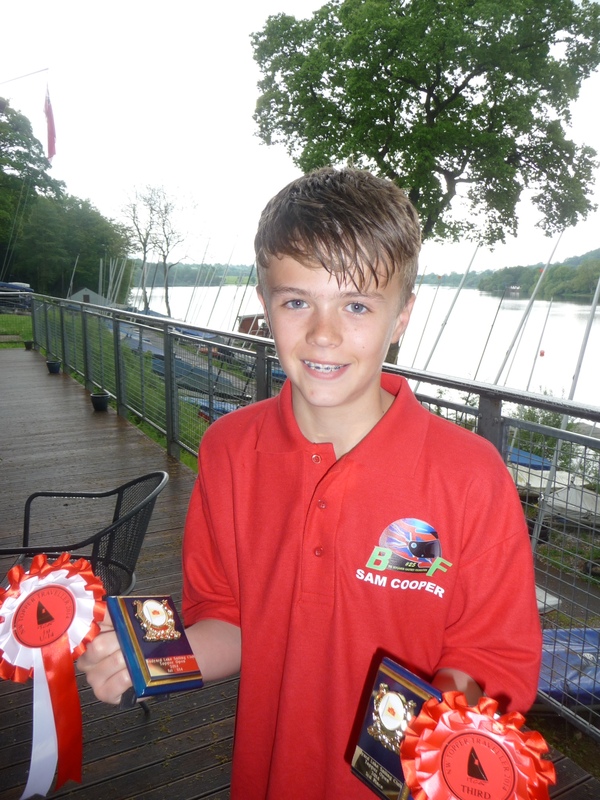 Sam took part in the Welsh youth and junior championships, doubling up as the North West Topper Travellers. 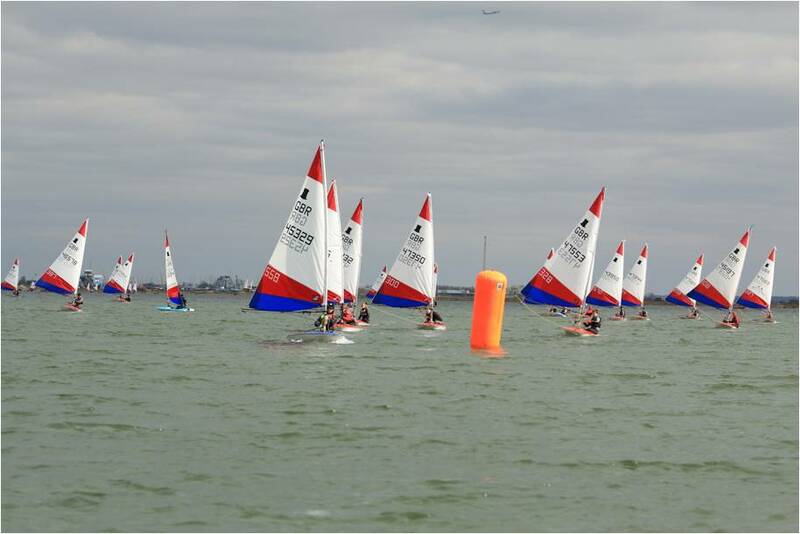 They had a decent amount of breeze which was good and he had an excellent first day – Three 1st’s and a 2nd. 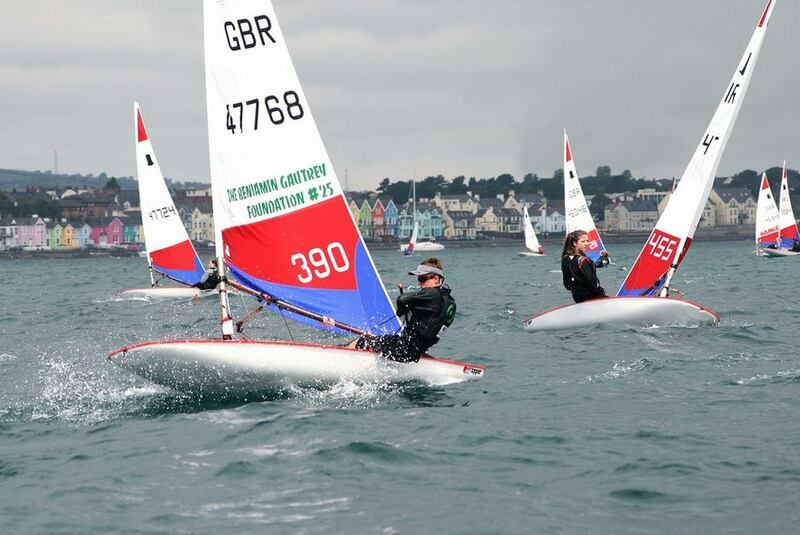 County Antrim Yacht Club -competing in the Irish nationals which was a 3 day event with a total of 9 races. There was a massive variation in wind strength and it was a very tidal venue making things even more complicated. 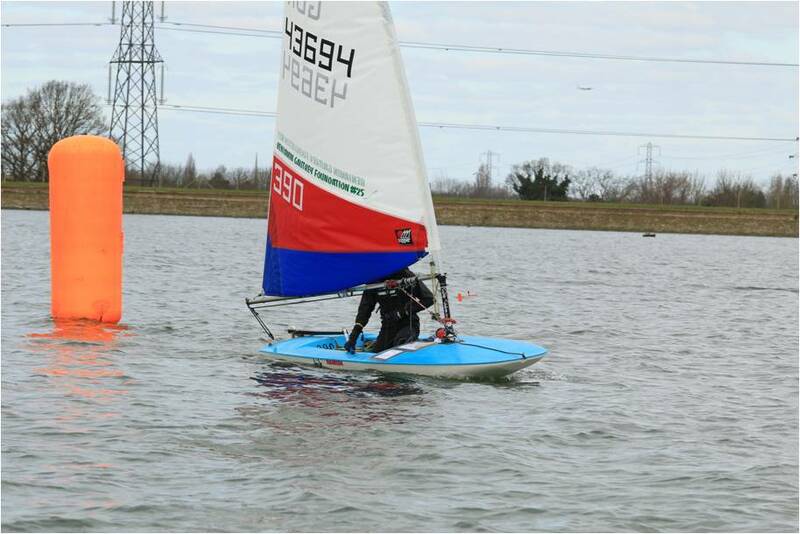 Sam came 3rd overall in his new topper boat donated by the BGF. Sam had a huge surprise at his school assembly where he was presented with a new boat! 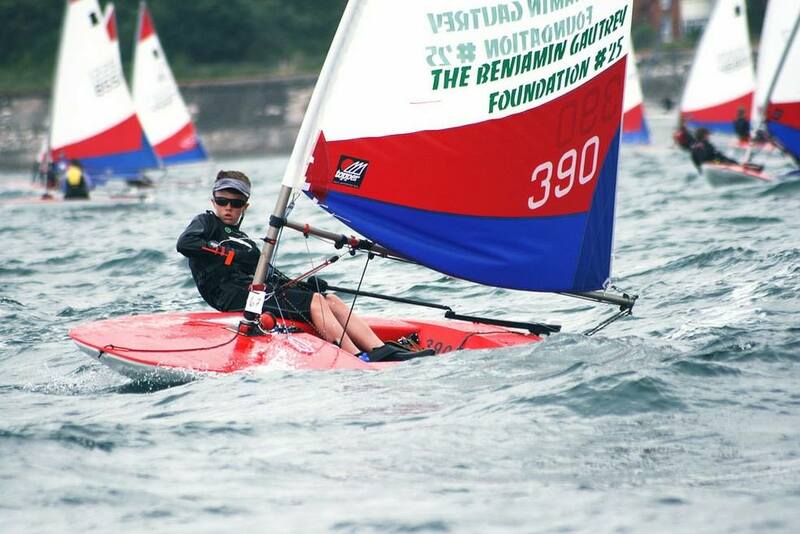 Sam has been selected to represent Great Britain, sailing a topper at international level. 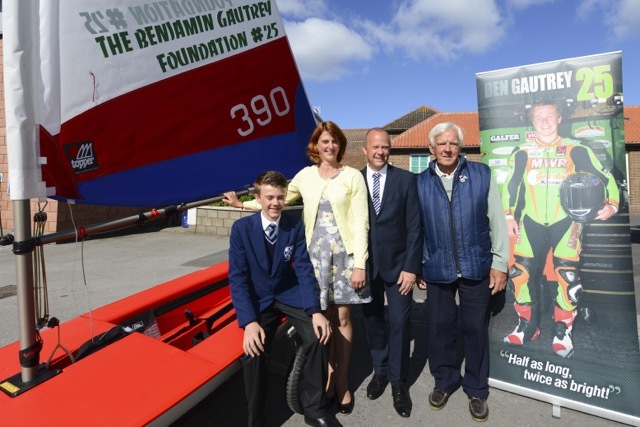 The topper boat was donated to Sam by the ‘Benjamin Gautrey foundation’ and was actually presented to him by Ben’s mother in an emotional ceremony in front of all the boys in years 7 and 8. Other members of the foundation were also present along with Sam’s very proud mum, dad and grandad. 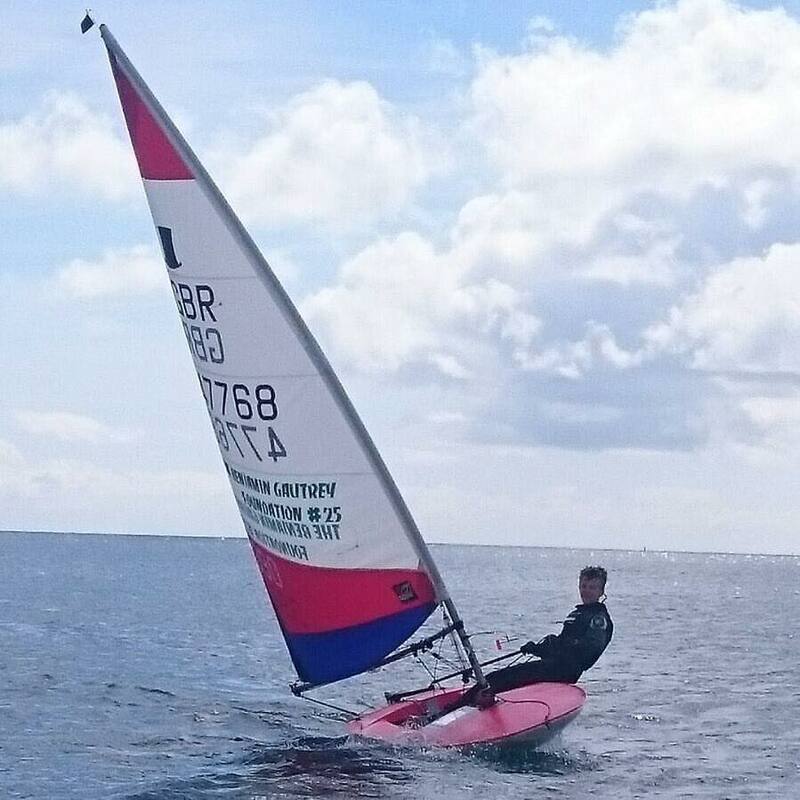 Another achievement for Sam this weekend, 1st boy, 1st under 14 and 1st overall at a Topper Class North West Traveller Series held at Burwain SC on Foulridge Reservoir near Colne. It was a particularly windy day with winds gusting up to 30mph seeing most competitors in the water at some point during the day. 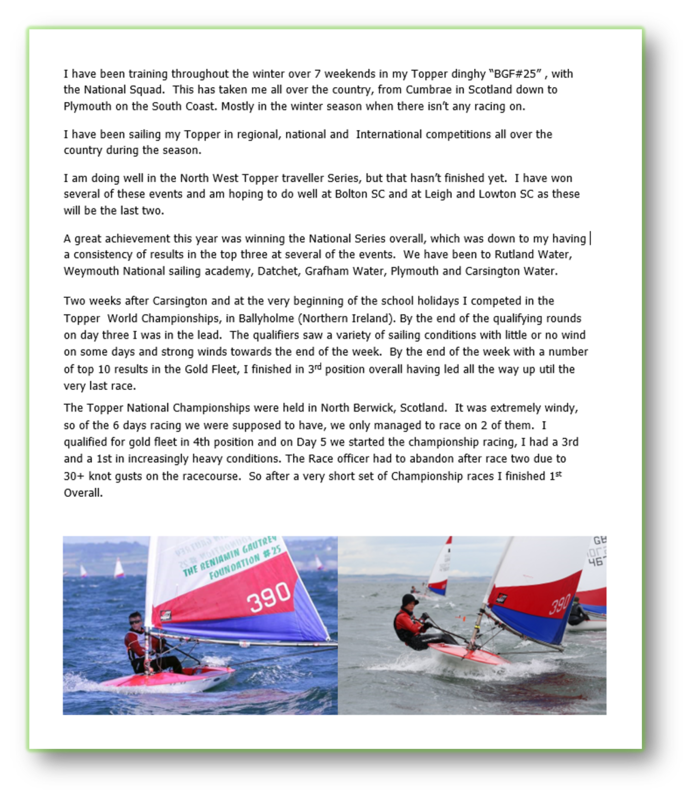 These photos were taken at Queen Mary Sailing Club – Sam was taking part in a National Series event with 140 other competitors. 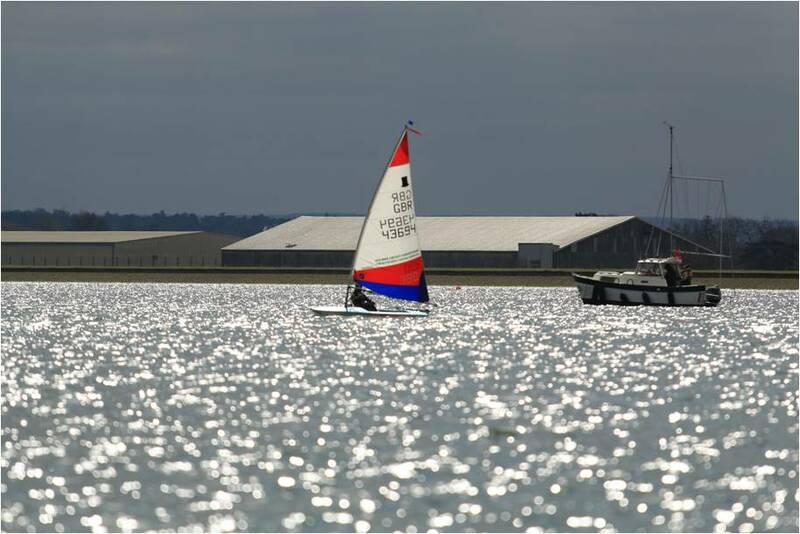 In his first race on the Sunday he led the fleet and was 1 minute and 19 seconds ahead of the next boat at one stage. His first “first” in such a big fleet (race no. 4 of 6). He finished 11th overall which is a fantastic achievement. 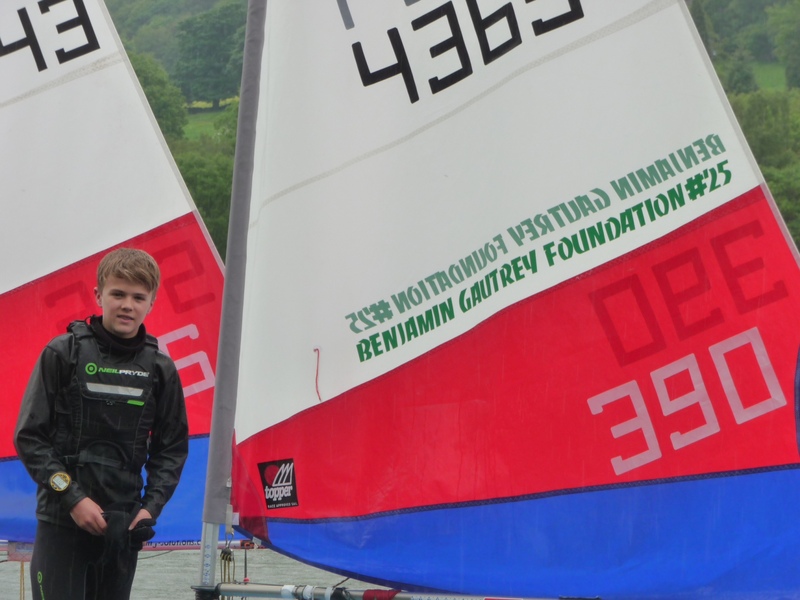 The Benjamin Gautrey Foundation have sponsored Sam Cooper for the 2014 season – a young talented sailor. 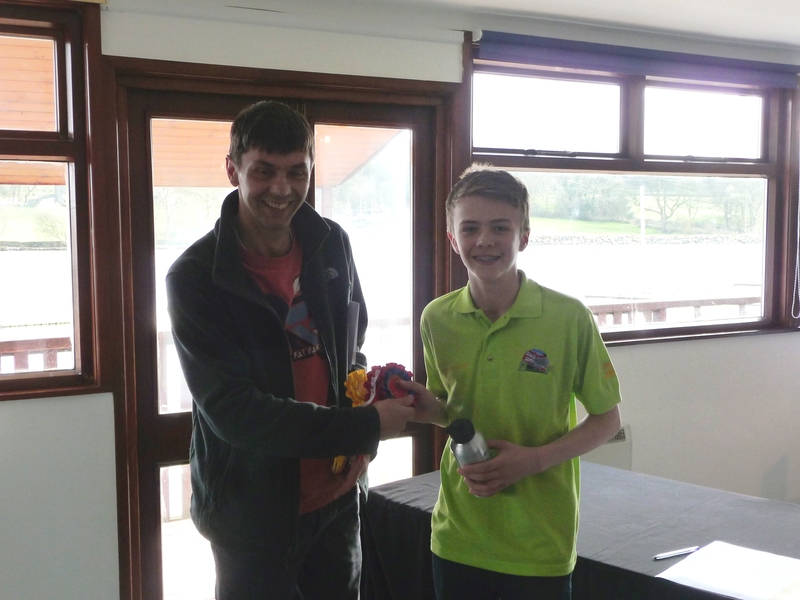 Sam recently collected prizes at Rudyard Sailing Club’s Topper Event – achieving third place overall – 1st in both the Under 14 and Under 13 classes. Sam has acquired a newly logo’d sail for the season emblazoned with the ‘Benjamin Gautrey Foundation’ which looks brilliant and has received many questions from people enquiring about the foundation.